Every year tens of thousands of military veterans return from military action with potential post-traumatic stress disorder (PTSD). Yet these men and women are only the tip of the spear, as this number doesn’t account for the thousands of state and local police officers along with emergency workers who battle the same disorder. Typically, the mind and body are in shock after a traumatic experience. As most people make sense of what happened and process their emotions, they come out of it. Those with PTSD, however, remain unable to control the painful emotional and behavioral intrusion of the traumatic memories into their lives. Re-experiencing the traumatic event. Often this manifests in flashbacks, nightmares and intense physical reactions to reminders of the event. Avoiding reminders of the trauma. Some are unable to remember important aspects of the trauma, others experience a loss of interest in activities and life in general. Still others feel emotionally numb and detached from others in their life. Negative cognitions and mood represent myriad feelings, from a persistent and distorted sense of blame of self or others, to estrangement from others or markedly diminished interest in activities, to an inability to remember key aspects of the event. Arousal is marked by aggressive, reckless or self-destructive behavior, sleep disturbances, hyper-vigilance or related problems. The number of veterans who have returned from recent (OEF, OIF, OND) wars has been conservatively estimated at 2 million. Since 2001, 2.4 million active duty and reserve military personnel were deployed to the wars in Iraq and Afghanistan. Based on a Defense Manpower Data Center (DMDC) file dated April 16, 2015, there were, as of that date, a total of 1,939,959 unique Operation Enduring Freedom (OEF)/Operation Iraqi Freedom (OIF)/Operation New Dawn (OND) veterans (including 5,887 veterans who died in-theater). This leaves 1,934,072 surviving veterans of those conflicts (Public Health, 2015). Numerous studies have shown that between 18.5% and 24% of all OEF/OIF veterans have post-traumatic stress disorder. The number of veterans from recent (OEF, OIF, OND) wars with PTS has been conservatively estimated at 400,000. Further supporting the magnitude of the problem, the 2015 National Health Study for a New Generation of U.S. Veterans (Public Health, 2015) found a stable rate of 15.7% of veterans screening positive for PTSD. Using their DMDC figure of 1,934,072 Middle Eastern Veterans, this leads to 304,573 PTSD sufferers nationally (1,934,072 x .157). The same study found that 9.8% of veterans (189,539) who did not use VHA services also screened positive for PTSD. The U.S. Department of Veterans Affairs estimates that PTSD afflicts at least 31% of Vietnam veterans, 10% of Gulf War (Desert Storm) veterans, 11% of veterans of the war in Afghanistan and 20% of Iraqi war veterans. Nationwide, between 2002 and 2012, more than 256,000 veterans who served in Iraq or Afghanistan have been treated for PTSD. But, reports indicate that up to 40% of returning veterans affected with PTSD remain untreated. 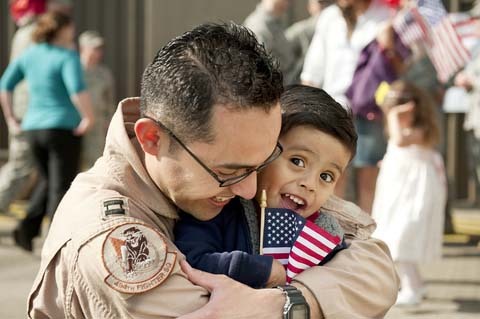 • In 2009, approximately 1.98 million children had one or both parents in the military. Even those Americans with no personal connection to the military are impacted by PTSD: An estimated, 200,000 veterans, will be developing the PTSD syndrome over the next four years and the cost to US taxpayers is estimated in a recently published Rand Report at over fifteen billion dollars. RTM is an innovative and cost-effective treatment for PTSD, but it is not enough. PTSD has far-reaching impacts in other areas of a veteran's life. Full clinical treatment for related problems like grief/loss, guilt, shame, regret, remorse, anger, resentment, anxiety and personal disillusion is needed. Additional money could provide the development of this comprehensive treatment for the cognitive co-morbid problems of PTSD as well as the continued research into these related problems that will prove their effectiveness. Our veterans are more than research subjects and need to be treated clinically for ALL their cognitive and emotional problems so they can return to full, productive lives. Help us fund the research necessary and model the clinical treatments to get them approved as evidentiary medicine to help bring our PTSD affected veterans back to full health in a university-affiliated, model, state-of-the-art Trauma Treatment Clinic.